As a Wedding Photographer in San Jose, I was often asked by my clients to have their Downtown San Jose Engagement Session, because they feel it is part of their lives. There are a few locatons exists in downtown area that I often use for the shoot, but my favorite is the City Hall and is surrounding area. I just love the color of the walls and the shape of the dome building. Furthermore, in some months the sunset creates such a beautiful glow in the front area of the building. Check out these images below. 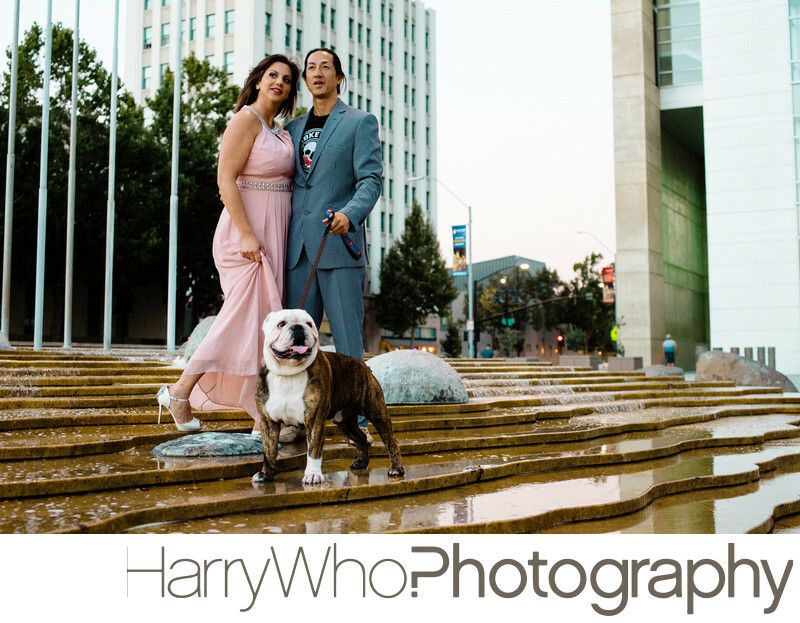 WHAT OTHER GREAT PART OF DOWNTOWN SAN JOSE TO DO THE ENGAGEMENT SESSION? Located on the First Street, just between San Carlos and San Fernando lies a parking lot. Next to the Parking Lot, theere is a grafitti wall which stands on the side of the Anno Domini Art Gallery. Check these images below. Across the from the parking lot, there are cool bar that can be a cool location for Engagement Session. Location: 200 E Santa Clara St, San Jose, CA 95113.